A recent OAG survey looks at future travel tech innovation and disruption. Also, the uncontained engine failure on the Southwest Airlines Boeing 737, integrating the Bombardier CSeries into the Airbus organization, the FAA reauthorization bill, and the effect of rising fuel prices on airfares. Mike Benjamin is Chief Technology Officer at OAG, a global provider of digital flight information for airlines, airports, government agencies, aircraft manufacturers, consultancies, and travel-related companies. OAG is in the business of data aggregation and distribution, with flight information used for real-time and analytical tools. Mike tells us about the Travel Tech Innovation: Market Report where OAG surveyed more than 2,000 U.S. travelers to gain insight into which future advancements will resonate. We look at traveler interest in artificial intelligence applications, supersonic travel, booking process innovations, the use of autonomous vehicles, and biometrics at the airport to speed travelers along. Mike has over 30 years of experience in aviation, travel, technology, and business development. 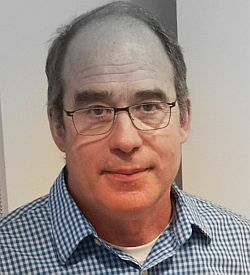 After completing his education at MIT, he held several leadership positions during the first years in his career, and then took over leadership of FlightView, a US-based day-of-travel information and technology provider. Mike joined OAG via the FlightView acquisition in January 2015. In his current role as Chief Technology Officer at OAG, Mike works with airlines, airports, and travel providers to utilize data-driven solutions to plan more profitable routes, improve customer satisfaction, and operate more efficiently. FAA Airworthiness Directive 2018-09-51 issued April 20, 2018. How does a CFM56-7B work? – This animated video from CFM International shows how a jet engine works and gives you a good view of the fan. 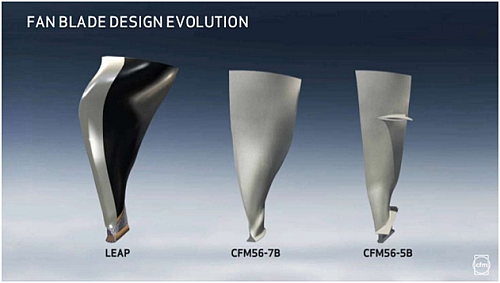 CFM fan blades: composite with titanium leading edge, hollow wide-chord blade, solid titanium blade. Courtesy CFMI. Airbus may be looking for suppliers to lower their prices. How will Airbus brand the CSeries airplanes, and will it Integrate the Airbus and CSeries sales forces, or keep them separate? The U.S. House of Representatives approved five-year H.R.4 – FAA Reauthorization Act of 2018 by a 393-to-13 vote. The bill includes no ATC privatization. Also, airlines would not be able to involuntarily bump an already-boarded revenue passenger, large and medium-sized airports would be required to provide private rooms in every terminal for nursing mothers. 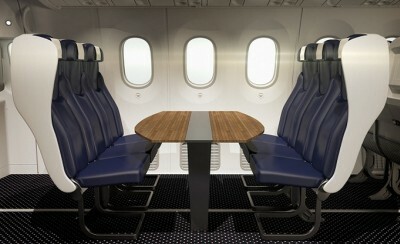 Minimum dimensions for seat pitch, width, and length would be determined by the FAA within one year. A feasibility study of in-cabin wheelchair restraint systems would be conducted. Fuel is the second largest expense for airlines (after labor). With fuel costs increasing in the U.S., higher airfares are a possibility. Hillel congratulates Airplane Geeks on the 500th episode. Mike Harris, the host of the Why We Fly podcast, tells us about his week at Sun ‘n Fun 2018. This entry was posted in Episodes and tagged accident, Airbus, Allegiant, American Airlines, CFM, CSeries, FAA, Fuel Costs, OAG, Pipistrel, Remora Systems, Southwest on May 2, 2018 by maxflight. Memoirs of a pilot, AirAsia Flight QZ8501, flying drones safely, falling oil prices and the cost of airline tickets, the Gulfstream G650ER, a look back at 2014 and a look ahead to 2015. Ace Abbott was an F-4 Phantom pilot in the USAF, based in the Far East, and he flew the Learjet as a corporate and charter pilot. During the last 22 years of his career, Ace flew the Boeing 727 for several airlines, accumulating 11,000 hours in the captain’s chair. Ace is retired now, he blogs, and he authored his memoir, The Rogue Aviator In the Back Alleys of Aviation. and Dead Tired: Aviation’s Insidious Killer which looks at pilot fatigue. 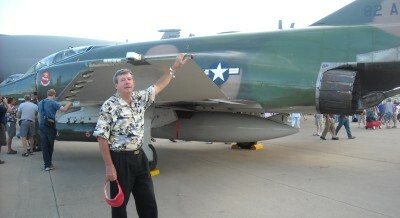 Ace was featured by two young aviation bloggers: Share Your Story: Ace Abbott, Author, F-4 Phantom and 727 Pilot by Swayne Martin and Ace Abbott – His Story by Jake Lewis. Find Ace’s books, blog and more at The Rogue Aviator. Follow Ace on Twitter: @aceabbott. AirAsia Flight 8501 was flying from Surabaya, Indonesia, to Singapore with 162 souls onboard: 155 passengers, 2 pilots, and 5 crew. State-owned AirNav Indonesia provides air-navigation services and said the AirAsia plane took off at 5:32 a.m. local time. While cruising at 32,000 feet at 6:12 a.m., it contacted traffic control at Jakarta’s airport to say it was moving left from the flight path and rising to 38,000 feet to avoid a cloud. At 6:18 a.m. QZ8501 disappeared from radar. The UK civil aviation authority reminds people that if you fly recklessly you can be fined as much as 5,000 pounds. An education campaign founded by the Association for Unmanned Vehicle Systems International (AUVSI), the Academy of Model Aeronautics (AMA), and the Small UAV Coalition in partnership with the Federal Aviation Administration (FAA) to educate prospective users about the safe and responsible operation of unmanned aircraft systems (UAS). Oil prices have plummeted, and fuel is the big cost element for airlines. So does that mean that ticket prices will fall as well? Not necessarily. Different airline fuel hedging strategies play a role. See also: Major US Airlines That Took Risky Bets On Oil Are Hurting From Falling Prices and Airfare Should Get Cheaper In 2015 Due To Plummeting Oil Prices, Experts Say. The Cranky Flier looks at the airlines that in 2014 went out of business, were bought, or retired. The Gulfstream G650ER can carry an extra 4,000 pounds of fuel which increases range to 8,600 miles, enough to fly nonstop from New York to Hong Kong or Los Angeles to Melbourne, Australia. 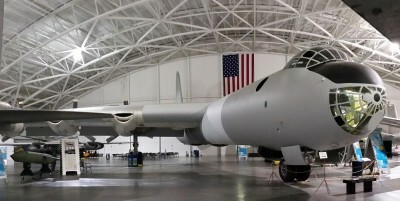 B-36J AF Serial Number 52-2217 on display at the Strategic Air and Space Museum. B-36J AF Serial Number 52-2827 on display at the Pima Air & Space Museum. Juan Carlos Fernandez Diaz is part of a scientific crew flying in Antarctica. He created the website Listener Reports from an Airplane Geek from McMurdo Station Antarctica and sends us his first report on aviation from that continent. This entry was posted in Episodes and tagged accident, Airlines, Antarctica, B-36, drone, Fuel Costs, G650, QZ8501 on December 31, 2014 by maxflight. A regional airline’s flight operations center, NTSB report on 787 battery fire, a cracked Dreamliner window, outgoing TSA security chief John Pistole, why cheap fuel might not be a good thing, and airports that court avgeeks. 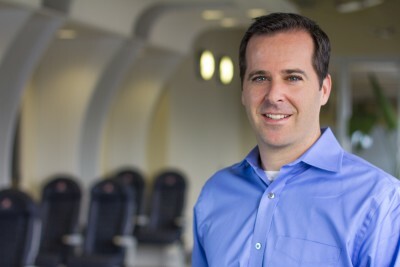 Brad Sheehan is Vice President of Flight Operations at ExpressJet Airlines. He’s responsible for the daily operations of more than 4,000 pilots and all Flight Operations functions. We talk about the responsibilities of Flight Operations, managing “irregular operations” such as weather events, and accommodating passengers when there are disruptions. Brad describes the operations center job functions: mostly dispatchers, but also a team of managers, maintenance controllers, and schedulers. The gap in the U.S. created by pilots retiring in next 10 – 15 years means majors will draw on the regionals for pilots. While many see the regionals as a stepping stone to the majors, a regional career could be attractive and Brad describes how that applied to him. Brad has a degree in Aviation Management from Auburn University, and began his career at Atlantic Southeast Airlines in 1997 as a pilot based in Atlanta. In his 17 years with ExpressJet, he’s served as a line check airman, instructor pilot, project manager, and chief pilot. He served as the director of Corporate Safety, Security and Compliance from 2010 to 2013 where he was instrumental in launching numerous safety programs including their Safety Management System (SMS). Headquartered in Atlanta, ExpressJet is the world’s largest regional airline with 9,000 aviation professionals, an average of 2,000 daily flights, and an all-jet fleet. ExpressJet operates as American Eagle, Delta Connection, and United Express to serve more than 190 airports in the U.S., Bahamas, Canada and Mexico. If you’re looking for a career in aviation, ExpressJet is hiring pilots, mechanics, flight attendants, crew schedulers, and more. If you want to begin your career as a pilot but don’t have your ATP CTP yet, ExpressJet offers a free, in-house CTP course for new hire pilots. Find ExpressJet on their Facebook page, and learn more about employment opportunities on their ExpressJet Airlines Pilot Recruiting Facebook page. Follow @ExpressJetPilot on Twitter and expressjetpilots on Instagram. The NTSB issued its final report on the January 7, 2013 incident where ground workers discovered smoke and flames coming from an auxiliary power unit lithium-ion battery in a Japan Airlines 787 that was parked at the gate at Boston Logan International Airport. Previously, the NTSB said that one of the battery’s cells experienced an internal short circuit which caused thermal runaway in the cell. That then spread to the other cells and caused a full battery thermal runaway. A man aboard a Thomson Airways Boeing 787 Dreamliner punching one of the plane’s windows, causing it to crack and frightening the other passengers. He was arrested on arrival, pleaded guilty, and is awaiting sentencing in January. The New York Times’ Business Day section did an extensive interview with John Pistole, the outgoing administrator of the Transportation Security Administration. Among the topics discussed: the growth of TSA’s PreCheck program and possibly switching the program to private contractors. Investors are looking too much at fuel costs and not enough at controllable expenses. But the airline industry outlook has been driven by capacity discipline, consolidation, and unbundling. Capacity discipline driven by high fuel prices. Also, airlines will not all benefit equally from lower fuel prices do to different hedging practices. Washington Dulles and Miami International airports are courting avgeeks with special programs and social media. The Discover Dulles program is a way for those who love aviation to connect and experience things that are typically off limits to the general public. Under the Miami Watch security program, airplane spotters are the eyes on the perimeter of the airport, like a neighborhood crime watch. Spotters get good access to the airfield and the airport gets another layer of security. David proposes some changes to the weekly history segment, and asks the community for input. Pieter reminisces over the past four years and the inspirational sources we all have for aviation. He also announces that he’s taking some time off from the Across the Pond segment. Learn about Anthony Kenneth Johnson (1925 – 2011) – Telegraphist Air Gunner (Royal Navy) at the Wartime Heritage Association. That the romance is when you get to see day, dusk, and night, all at the same time, from your office window. The romance is when you depart on a overcast, gloomy, dark day, break out on top and realise the sun really does exist. The romance is when you fly during a meteor shower and see so many shooting stars, you run out of wishes. The romance is when you get to see a thunderstorm in HD. Only this time it’s close enough for you to touch. The romance is when you fly from Moscow to Houston – fifty years ago you would’ve had to do it in a spy plane and fly high enough to be out of range of communist missiles. Or when you fly across the Atlantic without batting an eyelid, eighty years ago, they were handing out rewards for this sort of thing. The romance is when you fly across countries and realise there are no real borders that divide us. Except, when you fly over the Line of Control between India and Pakistan. And you see it lit up like a major street for as far as the eye can see. The romance is when you fly over Europe on a clear day. Within minutes you’ve seen the Alps, the Eiffel tower and the Big Ben. The romance is when people tell you it’s a small world, and having seen the length of the Pacific, you beg to disagree. The romance is when you ride along the tops of stratus and you can tell you are really shifting. Even magic carpets don’t ride this well. The romance is when you speak to the same air traffic controller for the umpteenth time. You’ve never met him and probably never will, but you recognise him from his voice. The romance is when you are number 10 for take-off on a gusty day. You get a ring-side view of your kind, doing their magic, earning a living. The romance is when you are cleared for a visual approach, and from that point on, it’s no computers and no automatics. Just good old stick and rudder. The romance is when you pop out of low cloud, and ahead of you lies three kilometres of velvet smooth tarmac, lit up like a Christmas tree. The romance is when after a fourteen hour transcontinental flight, you look back at your office, and smile! The romance is that no matter how prosaic you make it out to be, aeroplanes are still mankind’s greatest achievement. The romance is very much alive and kicking ladies and gentlemen! But a window seat and an open heart, would help you see it. Ace Abbott says the best holiday gifts money can buy are books. If you have friends, neighbors, relatives, or airport and pilot colleagues who may be remotely interested in aviation, the following list of aviation books will pleasantly entertain these people. In honor of the “Twelve Days of Christmas” here is Ace Abbott’s list of 12 great aviation books. Jonathan Livingston Seagull by Richard Bach; non-pilots as well as aviation folks have enjoyed this classic for nearly 40 years; available anywhere books are sold. Falling to Earth by Al Worden: A memoir of an astronaut who went from a small farm in Michigan to become the first man ever to venture to the back side of the moon as the Apollo 15 command module pilot. Amazon: http://amzn.to/1FJxW61. Rules of Engagement by Joe Weber: This book complements Fighter Pilot. It is Tom Clancy-like fiction, since it is laced with reality. The primary theme of a free-spirited Marine fighter pilot during the air war over Vietnam is complemented with a poignant love story; available at http://bit.ly/1CBtBFK. The Rogue Aviator by Ace Abbott: A memoir of an adventuresome, maverick pilot who experienced a radical roller-coaster-like ride through a diversified aviation career; filled with entertaining and implausible aviation anecdotes; as well as an insider’s look at commercial aviation. Amazon: http://amzn.to/1tHUaid, or http://therogueaviator.com/. Cruising Altitude: Tales of Crash Pads, Crew Drama, and Crazy Passengers at 35,000 Feet by Heather Poole: As the title reveals, this book relates many radical anecdotes of craziness in the cabin, and provides insight into the multifaceted drama that can occur in the cabin of a passenger airplane. Amazon: http://amzn.to/1yep9sy. Chuck Yeager– An Autobiography by Chuck Yeager; This story of the renowned test pilot will take you way beyond the speed of sound and into the world of swashbuckling fighter pilots and test pilots. Amazon: http://amzn.to/1vFuvfi. Area 51 by Annie Jacobsen: This well researched book will provide revelations about the famed top-secret “black-area” in the Nevada desert. It will clear up some misconceptions about aliens while revealing insight into the depth of the level of energy and effort by the U.S. government into the development and use of spy planes, such as the SR 71 “Blackbird.” Amazon: http://amzn.to/1FJBDbQ. The Darkest Mission by Rick Burton; This well-researched spy-vs-spy thriller was very well researched and contains troves of information derived from the real world of international espionage. The primary narrative revolves around a WW II B-17 crew that was shot down over enemy territory; an adrenalin-pumper from start to finish. Available at http://amzn.to/1pMIyi. An Extraordinary Life-Gone To The Dogs by Lisa Weiss; A powerfully poignant non-fiction account of a Jewish B-24 pilot who was shot down over France and captured by the Germans. Protagonist Irwin Stovroff relates his experiences as a POW and provides unique insight into the nuanced relationships of POWs and their colleagues as well as their captors. Irwin’s yeoman humanitarian efforts toward American Veterans is the glorious outcome of his improbable survival. Amazon: http://amzn.to/1zdLuEZ. Squawk 7700 by Peter Buffington; This auto biography relates the trials and tribulations of life as a commuter/regional air carrier pilot who reveals his very unpalatable training experience as a co-pilot for American Eagle Airlines. This book functions as an expose’ of the underpaid and overworked commuter pilots in the U.S. Amazon: http://amzn.to/1w0DzgV. Unbroken by Laura Hillenbrand; This WW II aviation bestseller is a story of survival, resilience, and redemption. It is available wherever books are sold. Amazon: http://amzn.to/1wjWRx. This entry was posted in Episodes and tagged B787, Book, ExpressJet, flight operations, Fuel Costs, NTSB, TSA on December 10, 2014 by maxflight. Aerial refueling, airline profits boosted by lower fuel prices, the future of the U.S. Air Force, bad behavior at the airport, and the NBAA Convention. Guest Matt Fritz is a KC-135 Instructor and Commander with over 2000 hours, including combat and combat support. He is also a certified acquisition professional, a certified Emotional Intelligence Trainer/Practitioner, and the Author of an instructional book entitled, “Leveraging Your LinkedIn Profile for Success.” Matt actively blogs with other military leaders at GeneralLeadership.com, as well as at his personal blog AdvancedVectors.com. 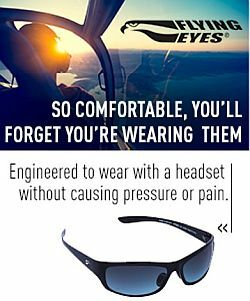 He’s a civilian licensed commercial pilot with multi-engine and turbine ratings. 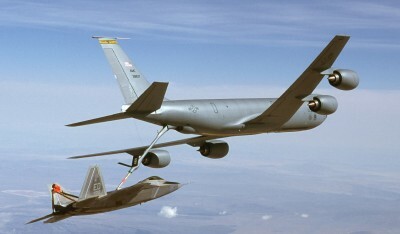 We talk about the role of the KC-135 tanker, an aircraft with a mix of old and new technology. Also, the future look of the Air Force, and the importance of open communication between military leaders and the public – connecting the warrior to the citizen. Matt has some advice for young pilots who aspire to serve their country as a military aviator, and he tells us a story about a brand new boom operator flying over Afghanistan on a night mission. Third Quarter airline results are in, with American Airlines, United Continental Holdings, and Southwest Airlines seeing record profits. A big part of the reason? Lower fuel prices. This article in The National Interest argues that between now and 2035, the U.S. Air Force will come to look very different than it has in the past. Historically, they say, the Air Force has been defined by it’s platforms: fighters, bombers, airlifters, refuelers, surveillance and reconnaissance, and command and control. A man at the Dallas/Fort Worth International Airport, who was described by some as drunk or on drugs, started a fight with another man wearing a pink shirt. When it got physical, passengers standing around jumped in, tackled the man, and held him down until police officers put him in handcuffs. All this was caught on video. Rob gives us highlights from the NBAA Convention, which saw some 1,100 exhibitors, more than 100 aircraft, with over 26,000 people in attendance. The MiG-28, the Exocet, and the Super Etendard. David looks at one of the dumbest lines in Moviedom and TOPGUN. 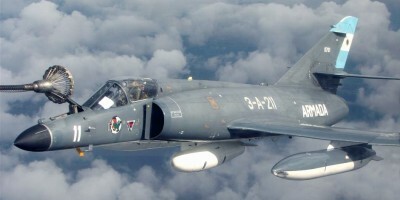 “They are the MiG-28 and carry the Exocet anti-shipping missile.” Flashback to when the movie was made and we explore why the Exocet was on everyone’s mind. Steve talks with Rod Rakic and brings us an update on Open Airplane, a service that assists pilots who want to rent an airplane. The network now has 72 locations in the U.S. with over 250 aircraft available, now including light twins, LSA, and tail draggers. 8000 pilots have signed up. U.S. Air Force KC-125 photo by Kevin Robertson. “SUEreabasteciendo1” by Martín Otero – Own work. Licensed under Creative Commons Attribution 2.5 via Wikimedia Commons. This entry was posted in Episodes and tagged Fuel Costs, KC-135, NBAA, USAF on October 29, 2014 by maxflight. 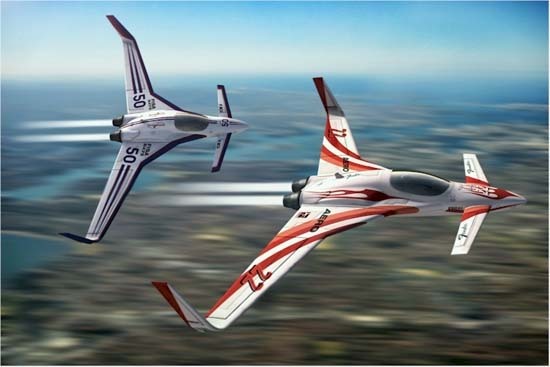 We talk with John Cudahy, President of the International Council of Air Shows. 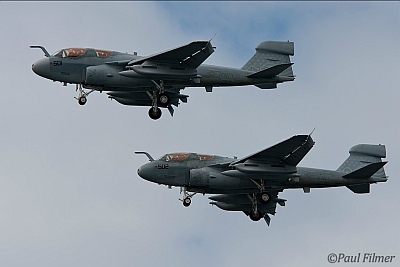 The air show industry suffered last year under sequestration with the loss of the military demonstration teams. This year, however, many of the military performers are back, to the benefit of the military and the public. So now the focus is on contingency planning for any possible repeat of the loss of military performers. We discuss the impact of rising fuel prices on the air show industry, how air show spectator satisfaction is measured, and the annual ICAS convention. ICAS works to maintain safety at air shows, serves as an information resource on air show issues, provides for the training and continuing education needs of the members and air show professionals generally, and promotes the air show industry to the media, Corporate North America, and the general public. 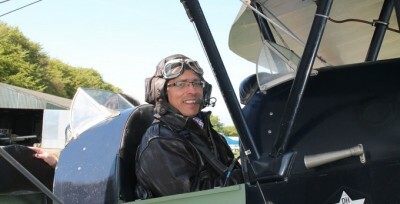 This week the guys are having some fun flying all over the countryside but still managed to bring in a quick report. Steve and ATC Ben host the segment from the cockpit of a Cirrus SR20, VH-SJA, at 9000 feet and 162 knots on their way up to the annual NatFly event in Temora, New South Wales. 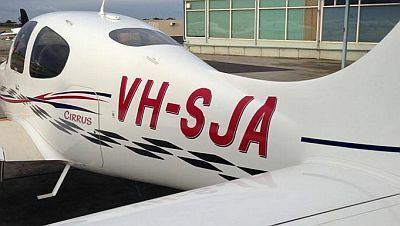 They chat briefly about the flight and the news this week that Avalon Airport in Victoria are trying to pitch themselves as “GA friendly” by offering “discounted” user fees. And yes, they still charge a fortune to use that airport, along with Essendon, which they also operate. Grant also drops in with a quick report from on board his hot air balloon at 1,500 feet, which he was flying at Leeton in New South Wales, not too far away from Temora. Sounds like he was having way too much fun! Find more from Grant and Steve at the Plane Crazy Down Under podcast, and follow the show on Twitter at @pcdu. Steve’s at @stevevisscher and Grant at @falcon124. Rob Mark’s Aviation Minute: This week Rob talks about his TSA pre-check experience. Screamin’ Sasquatch Jet Waco Unveiled at ICAS. John Klatt Airshows new aircraft is a 1929 Taperwing Waco biplane powered by both a Pratt & Whitney 985 Wasp Junior radial and a GE J85 jet engine with 3,000 pounds of thrust. This entry was posted in Episodes and tagged air show, F-35, Fuel Costs, ICAS, Iran, Spirit Airlines on April 23, 2014 by maxflight. 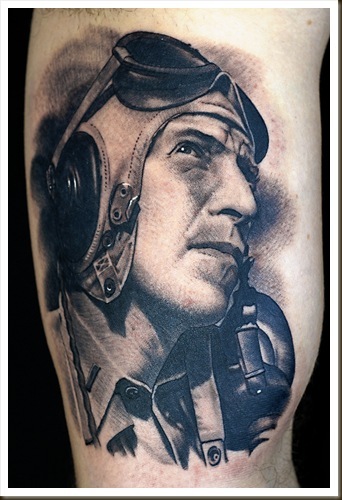 This week we welcome Ryan Keough of TattoosinFlight.com to the Airplane Geeks as he takes us through his new collection of aviation related tattoos. If you have an aviation related tattoo, Ryan is interested in showing it off. You can see his latest collection at tattoosinflight.com. Once again, this week’s intro music courtesy of Bruno Misonne. Check out his site at http://www.brunomisonne.com. Our ending music is by Brother Love. You can learn more about brother love through his site at http://www.brotherloverocks.com. If you have any questions or comments, please send us emails at thegeeks@airplanegeeks.com. You can also leave us voice mail at (812) 757-4252. Leave a message and we’ll get you on the podcast. This entry was posted in Episodes and tagged Air Force, Continental, Fuel Costs, Interview, Slot Auctions, Tattoos, United on June 23, 2008 by maxflight. Max’s pick of the week is the Rocket Racing League. Max and Court decide to try some word associations, and it gets funny fast. This entry was posted in Episodes and tagged baggage, Delta, Eclipse, Fuel Costs, Pinnacle, Rocket Racing, United on June 16, 2008 by maxflight.